Dimensions: 52L x 25W x 25H in. 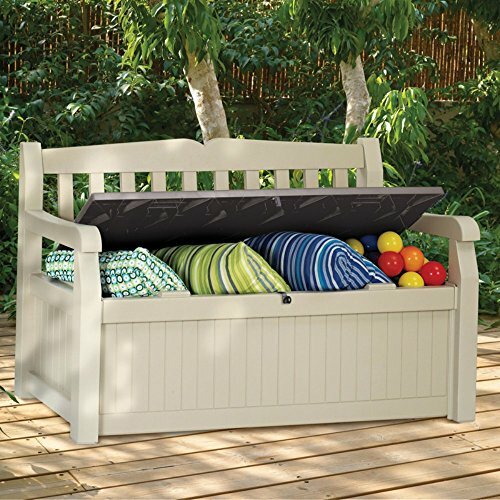 Protect your cushions from the weather while keeping your deck organized with the Crosley Palm Harbor 52 in. 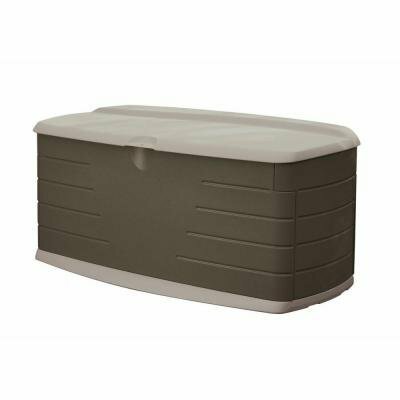 Outdoor Wicker 100-Gallon Storage Bin. 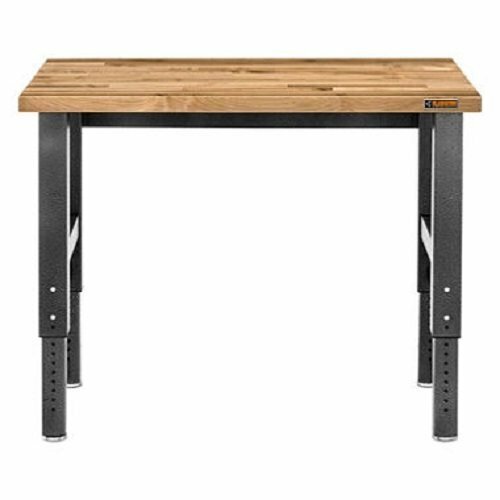 Designed to fit cushions up to 24 in. 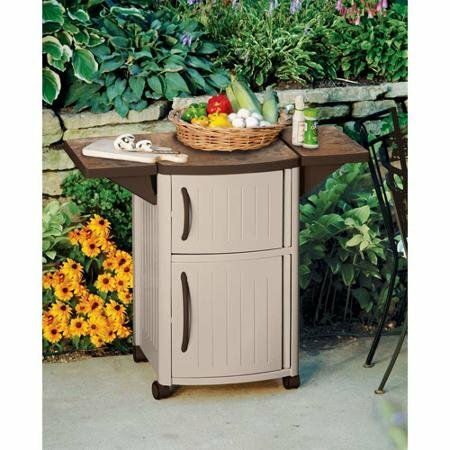 square, this outdoor storage bin is also great for garden tools, toys, and small equipment. 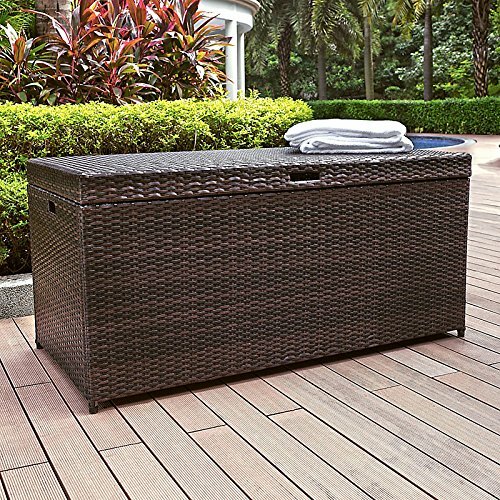 Constructed from UV-resistant hand-woven resin wicker over a strong and sturdy powder-coated steel frame with a full coverage plastic lid deck, this storage bin is made to last through the years, helping to keep your deck clean and organized. Pneumatic hinge supports allows for easy and smooth closing so cleaning up is quick and simple. Dimensions: 52L x 25W x 25H inches. 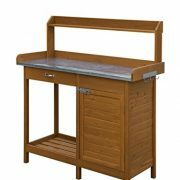 Interior dimensions: 51.5L x 23.75W x 19.75H inches. Product weight: 54 lbs.